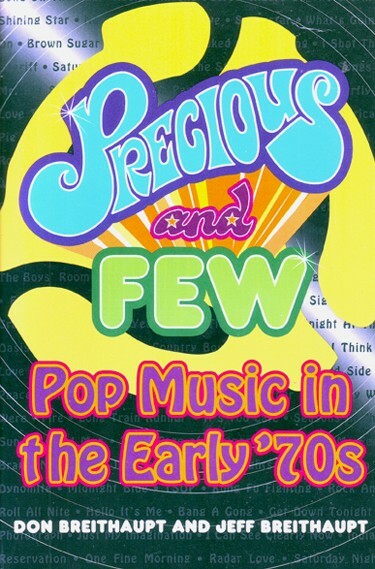 Written by Canadian brothers, Don and Jeff Breithaupt (who’ve both maintained thriving, but somewhat under the radar music careers) and published in 1996, “Precious and Few: Pop Music of the Early ’70s” is an insightful look at at era of pop that never gets enough credit. Via themed chapters, the brothers explore several sub-genres, touching on obvious classics as well as some wonderful obscurities. Much more than just a simple guide, there’s some real analysis and understanding in these pages, along with an obvious love for AM gold. The early seventies pop landscape was a real mixed bag, a musical flea market of goofiness, smooth charm and the odd hard edge. This book is likely the best available documentation of that scene.